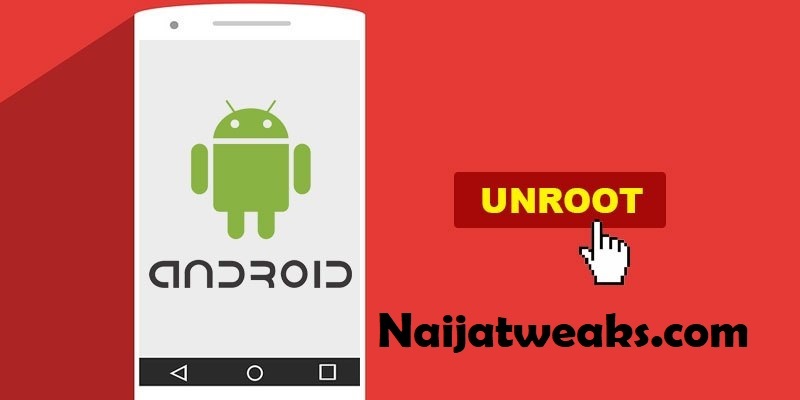 Rooting unlocks your actual phone potential and allows you to make use of your phone to full potential which sets it apart from iPhone, Windows phone and others and of course you should know rooting is not for everyone. Right now i assume you know and understand what rooting is and how rooting works but if you are new here you can see All You Need To Know About Rooting which answers all your questions on rooting and how you can make the best use of rooting. So in this post, I will be we would be showing you how to unroot your phone without the use of a computer. Some users do root their phone using a computer which i do not really think it works for me as it takes more stress and steps to get it done. 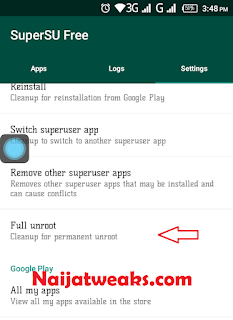 Instead, you can make use of rooting apps such as Kingroot to root your phone which is very easy and does not take much time. So below i will be listing apps you can use to unroot your phone which you won't be needing a pc. Super Su is an android app is a popular android rooting app as it helps you in managing your rooted device. Super Su has many features and which also include unrooting your phone under setting tab. Just like the image below. 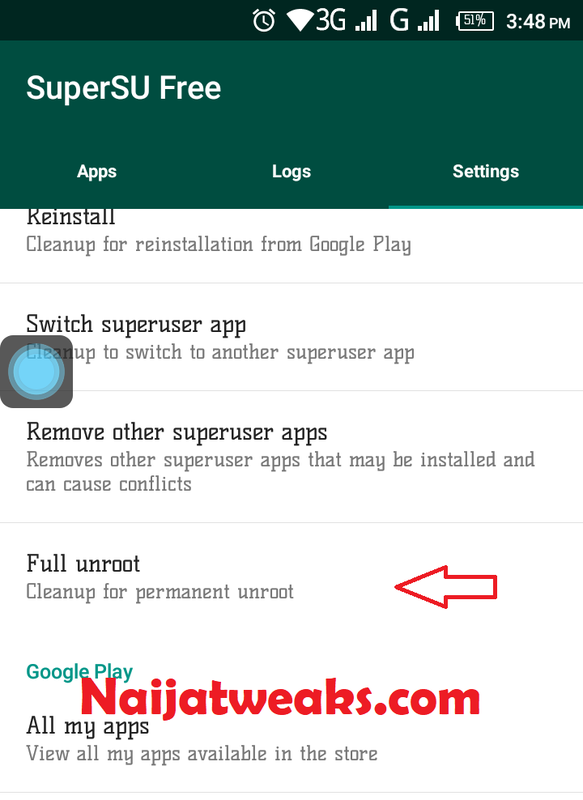 All you have to do is to click full unroot which unroots your phone immediately. That's all for now. Do join us on our facebook page and join us on our telegram group by clicking the image below. Do you have a question? Do leave your comment and we'll get back to you as soon as possible.